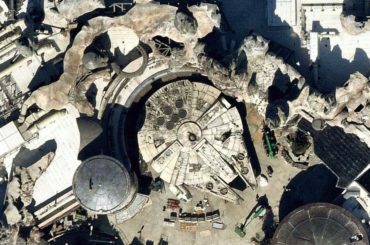 Disneyland hopes they’ve landed on a concept for Disney California Adventure’s Paradise Pier that actually works. 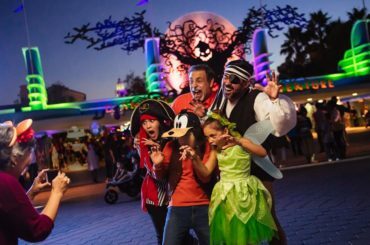 This time they’re calling it Pixar Pier and switching up the theme by layering in four different Pixar themed neighborhoods. We’ve detailed the rethemed Incredicoaster, but what about the rest of the details that are so important to Disney’s complex method of storytelling that is the theme park? 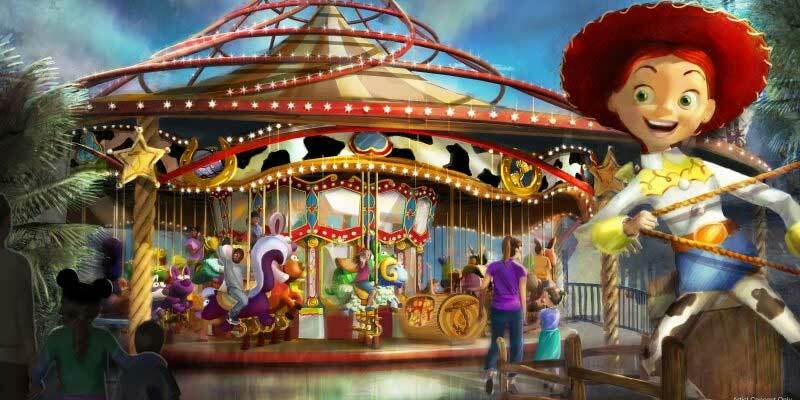 The good news is that we learned today that Pixar Pier will keep a carousel among its attractions. 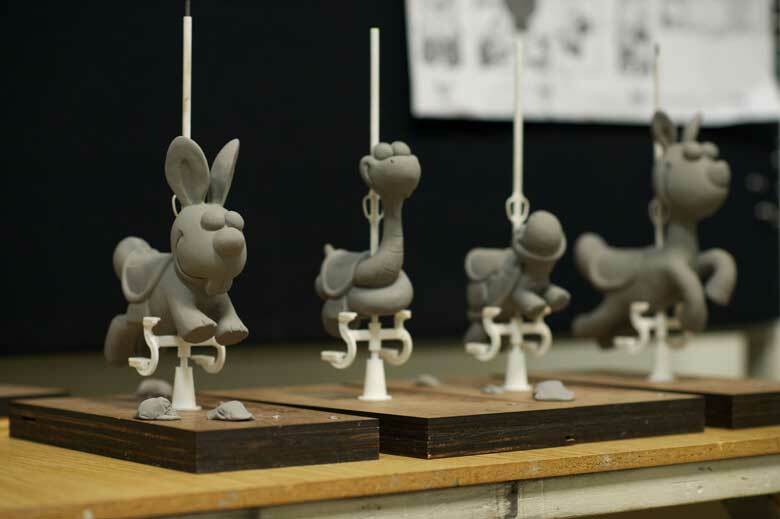 Jessie’s Critter Carousel is inspired by Jessie’s wilderness friends featured in Woody’s Roundup television show from “Toy Story 2”. 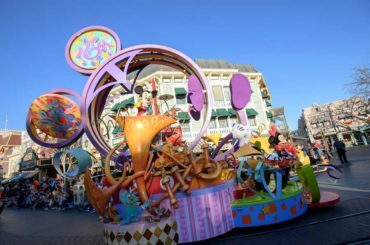 Jessie’s Critter Carousel is a classic boardwalk carousel play set with a whimsical spin from those colorful Pixar characters. As seen in this artist concept, Jessie the Yodeling Cowgirl invites guests to saddle up on one of her adorable critters for a rootin’ tootin’ spin. Alas, Jessie’s Critter Carousel will miss the Pixar Pier opening and arrive in 2019. 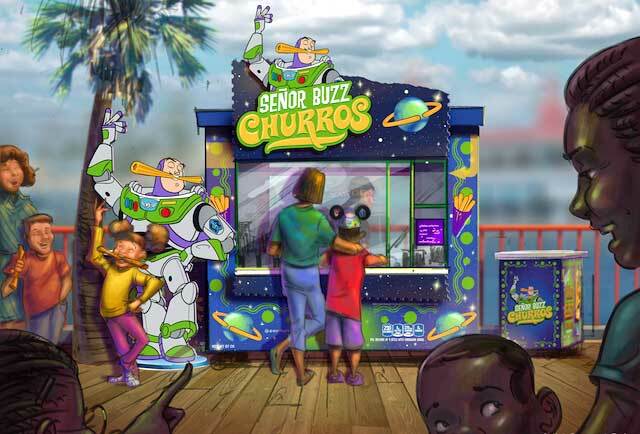 Señor Buzz Churros reminds us of when Buzz Lightyear became Senor Buzz in Spanish language mode. 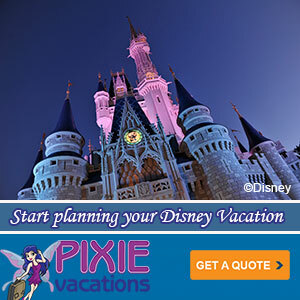 A fun new way to enjoy this quintessential Disneyland treat. 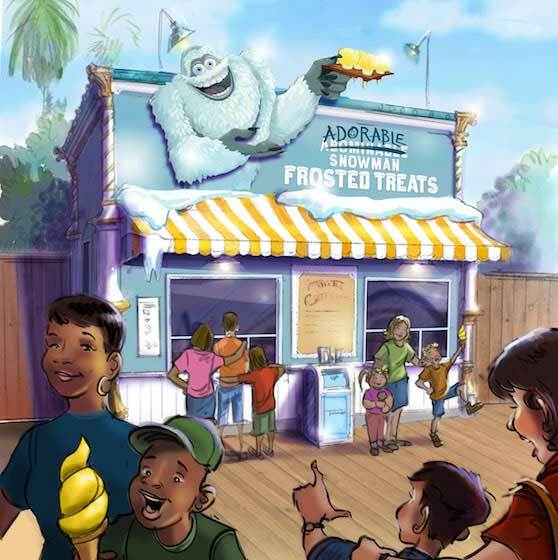 Adorable Snowman Frosted Treats will be located near the entrance to Pixar Pier. 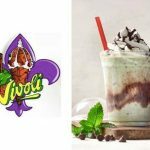 Inspired by the abominable snowman from Pixar’s Monsters, Inc, this is where you will go for Frozen treats. Warning stay away from the yellow snow cones. 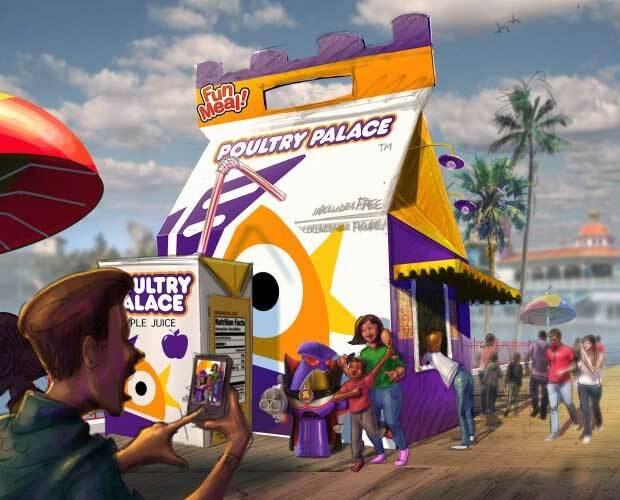 Poultry Palace looks like a giant kids meal. 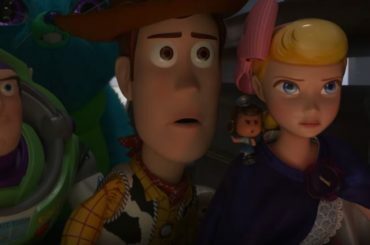 It’s pretty cute and is inspired by the Pixar short “Toy Story Toon: Small Fry.” Do you see the Fun Meal Zurg toy? 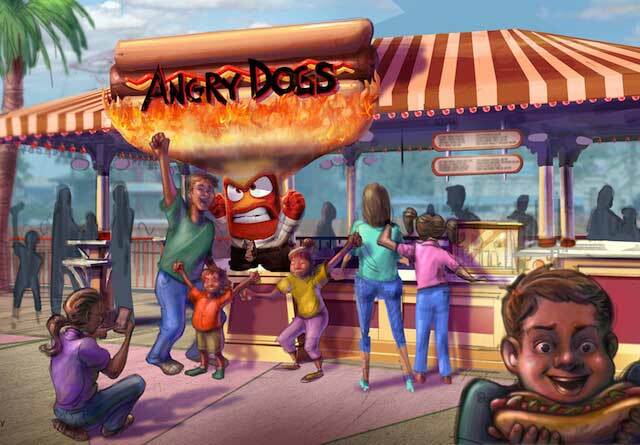 Finally, you’ll get all the hot dogs you want at Angry Dogs. 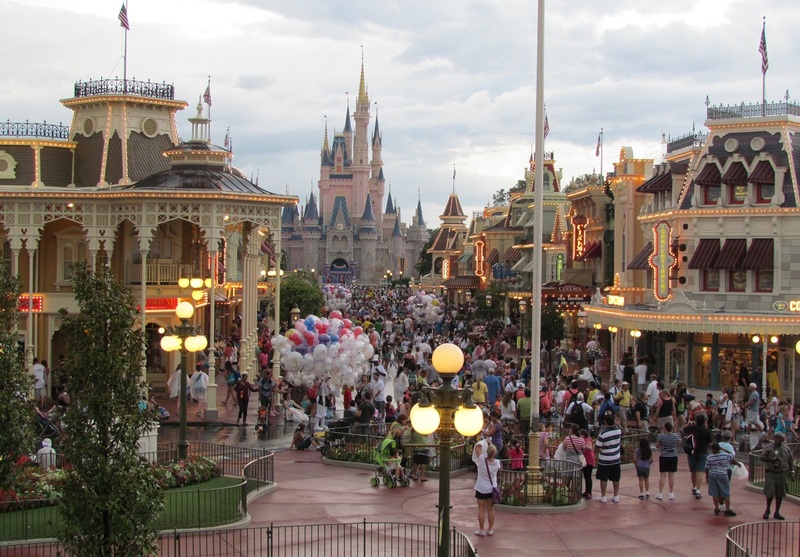 Themed after Anger from Pixar’s “Inside Out” the location has a built in source of heat. 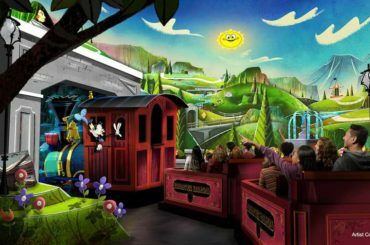 What do you think of the new look for Paradise Pier as it transforms into Pixar Pier?